Update: We have now processed a total of 2 million tweets (up from 1 million). My colleague Hemant Purohit at QCRI has been working with us on automatically extracting needs and offers of help posted on Twitter during disasters. 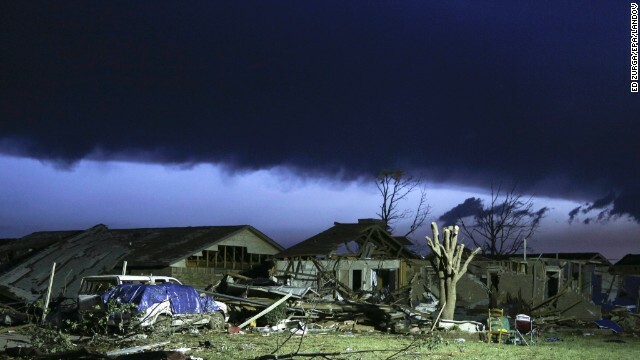 When the 2-mile wide, Category 4 Tornado struck Moore, Oklahoma, he immediately began to collect relevant tweets about the Tornado’s impact and applied the algorithms he developed at QCRI to extract needs and offers of help. As long-time readers of iRevolution will know, this is an approach I’ve been advocating for and blogging about for years, including the auto-matching of needs and offers. These algorithms (classifiers) will also be made available as part of our Artificial Intelligence for Disaster Response (AIDR) platform. In the meantime, we have contacted our colleagues at the American Red Cross’s Digital Operations Center (DigiOps) to offer the results of the processed data, i.e., 1,000+ tweets requesting & offering help. If you are an established organization engaged in relief efforts following the Tornado, please feel free to get in touch with us (patrick@iRevolution.net) so we can make the data available to you. This entry was posted in Big Data, Crowdsourcing, Information Forensics, Social Media and tagged Disaster, Moore, Oklahoma, Tornado. Bookmark the permalink. Using technology to help Tornado victims. Brilliant. My pleasure – great article! Exceptional work! Its interesting to see how the New Media is being used to provide aid in a crisis situation. Kudos! Thanks Otene, my colleague Hemant is the one driving these efforts, so I’ll share you kind words!